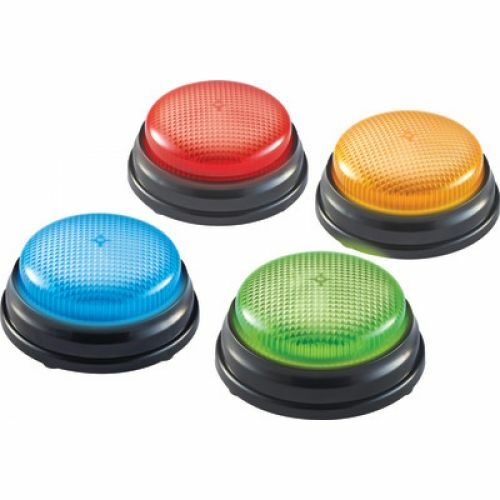 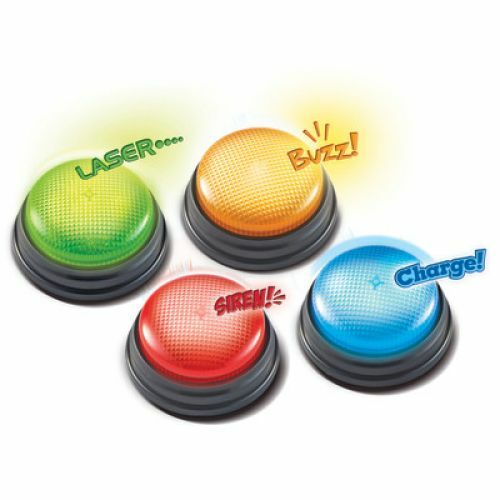 Kids will light up when they reach for these fun buzzers! Sounds mimic real-world objects—a siren, game-show buzzer, laser and "charge!" A great way to boost student response during any class activity or game!